Your newborn needs a great amount of sleep – up to eighteen hours a day — but your baby doesn’t know that! He exists in each moment and responds to his body’s needs and his environment. Even if he’s tired, your baby might only sleep when the situation is exactly right for slumber. Your baby doesn’t understand anything about his own sleep needs but is instead driven by instinct. 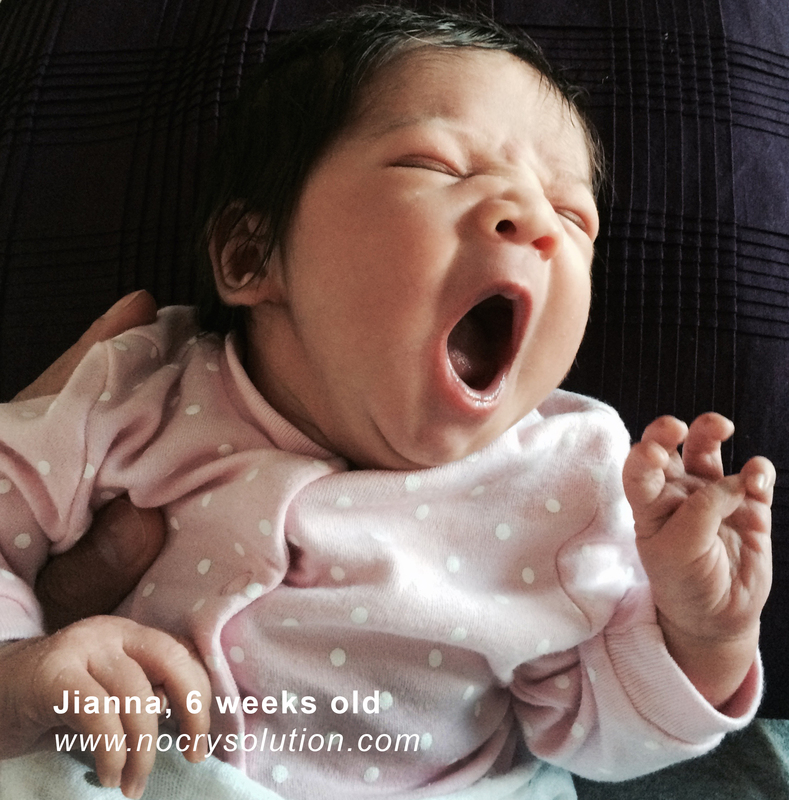 When your infant is tired, he’ll sleep – or he will fuss and cry about not sleeping. Rarely is there a middle ground. The good news is that when your baby is tired, he will show you this in many different ways. The not-so-good news is that it may take you some time and a lot of practice to learn how to understand the signals. The best news is that once you learn to read your baby’s signals and respond to them sleep will be easy and blissful. Your baby speaks a language that is unique, complex, often confusing, and some of this communication is very subtle. If you don’t pick up on your baby’s sleepy cues when they first appear your newborn can quickly dissolve into fussing and tears. Babies can become overtired very quickly, and when that happens they find it hard to fall asleep, but hard to stay awake, too. So they are stuck in the middle where they fuss and cry. For that reason, one of the most important keys to obtaining awesome newborn sleep is to learn how to read your baby’s sleepy signals correctly: when to put your baby down to sleep in his bed, when to help him fall asleep by nursing, feeding or rocking him, and to identify when he is simply too overtired to be able to put himself to sleep and requires your complete assistance. While your baby will present you with a very individualized language, there are many similarities among babies. Some signals, like losing interest in people or toys, yawning, or fussing are nearly universal sleep-indicators for newborns. A baby cannot put himself to bed, nor can he understand his own sleep needs. Yet a baby who is encouraged to stay awake when his body is craving sleep is typically a very unhappy baby. Over time, this pattern develops into sleep deprivation, which creates more disjointed sleep and further complicates your baby’s developing sleep maturity. However, when you learn to read your baby’s sleepy signals and respond to them instantly your newborn will absolutely sleep better.